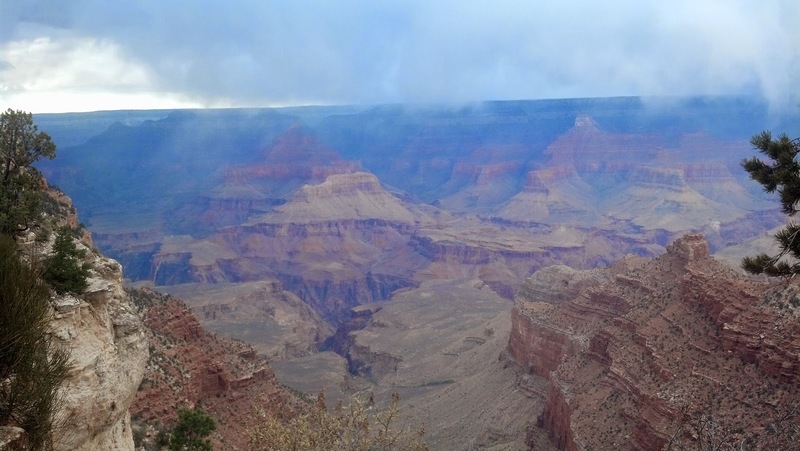 I finally experienced the wonder that is a cloudy, rainy day at the Grand Canyon. It even started sleeting for a few minutes at a time. We soaked in a completely different view of the Grand Canyon National Park than I’ve ever seen, with ever-changing shadows and random rays of sunlight. 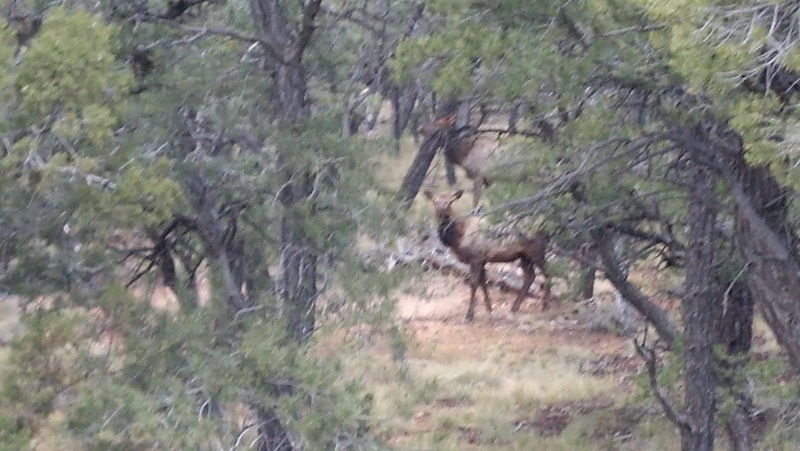 Cellphone shot of elk at the Grand Canyon. Such a cold, windy day called for a bowl of vegetarian chili from the Desert View snack bar. It warmed me up before running over to the watchtower in the snow/sleet.